Saffron Travel will launch a blog on September 20th where you can find more frequent travel updates and tips. 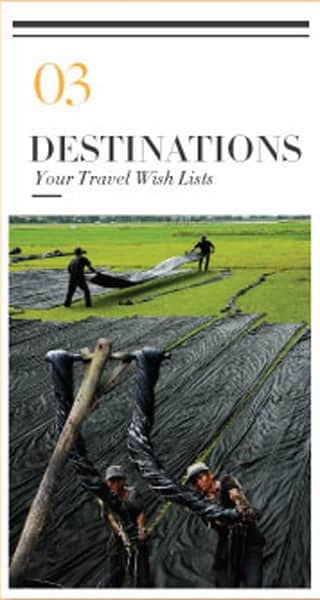 We hope it provides inspiration and useful information about travel to Vietnam, Laos, Cambodia, and Myanmar. Simply click on the link to access to the blog: blog.saffrontravel.net. U Sapa Resort has been rebranded as BB Hotel Sapa since August 26th 2017 under the management of BB Group Vietnam. The hotel’s services and facilities remain the same. BB Hotel Sapa is a 4-star boutique hotel located in the heart of town. The hotel features French colonial architecture and is surrounded by natural beauty. Aqua Mekong offers two new tours with special themes including photography (departure 8-12 December) and wellness (departure 15-19 December). Join Francisco Marin – the tour leader of photography tour – and a talented fine art, architectural photographer and videographer on board. For the wellness tour, travelers on board will enjoy private training sessions such as yoga and meditation classes led by founder of LEVEL fitness – Alex Salihin. Aqua Mekong is a 5-star cruise running routes along the Mekong River to and from Vietnam and Cambodia. The cultures of South East Asia possess an extraordinary range of expression when it comes to arts and crafts. Countless objects are still made by hand across Vietnam, Laos, Cambodia, and Burma with techniques and knowledge still passed on from generation to generations. 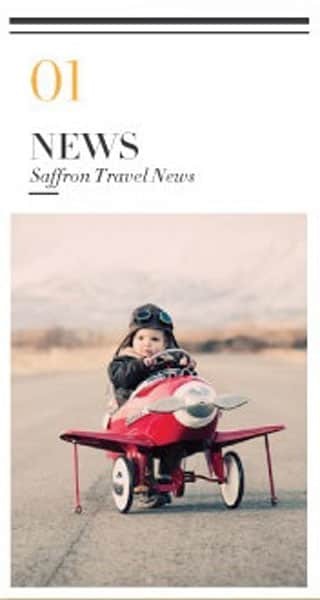 Symbols of family heritage and cultural identity, in this newsletter, Saffron Travel introduces some of our favourite arts & crafts experiences. Compared to other destinations in South East Asia, Laos is rarely considered a shopping paradise, but there are several charming boutiques and unique shops, especially in Luang Prabang, which are well worth a visit. Pathana Boupha Antique House, in a beautiful old French mansion, is often described as an Aladdin’s cave full of antiques, golden nagas, Akkha-style bracelets, H’Mong necklaces and much more besides. Continue on to Caruso Lao, one of the more exclusive shops in town where you can find unique pieces of home decor and products handcrafted by master carvers and turners. Ma Te Sai, set up by two long-term expats (Emi Weir and Cleménce Pabion , NGOs (a Malaysian foundation), Fair Trade Laos and villages across the country to promote unique handmade and natural products you can buy and support local communities. This journey will take you to Kor Kranh, a quiet village on the outskirts of Siem Reap. 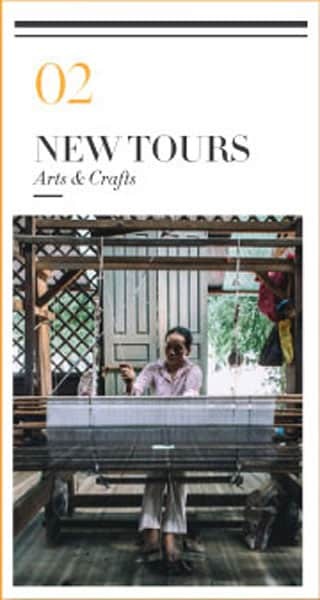 Meet the local artisans and learn about their production techniques of Kbach Khmer, Lotus Flower Origami, or Sewing. Continue on to Treak village, famous for its lacquer products. Enjoy Cambodian cakes and tea with the locals and listen to their stories of life in the countryside. Finally visit Artisan d’Angkor and see how their products such as wood carving, silk painting,… form part of the contemporary arts scene that’s thriving in parallel with the country’s development. Two villages we love specialise in particular arts & crafts and welcome visitors from abroad. Tan Chau is a village in An Giang – a province located in the heart of Mekong Delta – and is home to the country’s most famous black silk. The black-dye technique is unique and the product is often described as “the queen of silk” or “lacquer silk” which used to be worn only by wealthy, noble families. Particular tree leaves and resin are used to dye the silk. Few people kept this tradition alive and recent efforts to maintain this weaving art have redoubled. The best way to explore Min Nan Thu is by ox and cart. The community contains less than 50 households living simple bamboo homes. It’s not a surprise to see stupas scattered around the houses in Bagan. This village is special because it is where you can really see the local life. While the people keep their traditions, collect water and make things by hands, they are eager to learn different cultures of the “outside world.” Get inside a local house, enjoy the talks, and learn their weaving technique as well as how they make “Cheroot” – a traditional huge cigar. The villagers also make a living by crafting sand paintings, woven bamboo picture frame, and other handmade souvenirs. 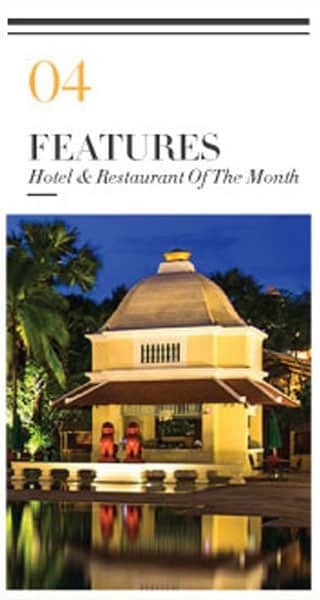 Centrally located in Siem Reap, Raffles Grand Hotel D’Angkor is one of the country’s oldest and finest properties. This colonial building first opened its door in 1932. Fine wooden floors, carefully selected Khmer artefacts and the original working elevator bring the country’s past to life. The hotel features 119 fully furnished rooms including 2-bedroom villas for families. They overlook the beautifully landscaped French gardens, or the huge swimming pool – the largest swimming pool in the country. The design is inspired by Angkorian architecture and the restaurant showcases both Khmer and international cuisines. The Alley Cocktail Bar and Kitchen is located in a hidden alley right in the centre of Saigon and is operated by an experienced mixologist. It is one of few cocktail bars in Saigon with a speakeasy style. The décor is inspired by the owner’s childhood in the Mekong Delta. The bar features a simple yet delicious menu with Tapas and well-sourced quality foods. Every Thursday, the bar features either with a DJ, or an acoustic set. Saffron Travel highly recommend one of their signature cocktails: Mekong Delta or Gastro Fusion. 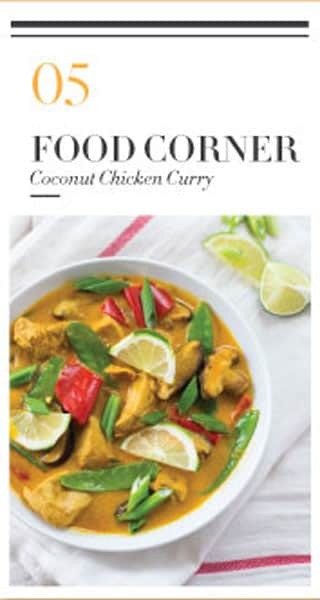 A dash of coconut cream added at the end of cooking gives this curry a lovely creamy smoothness, seasoned with a little fish sauce and a generous squeeze of lemon juice. – Put the ground turmeric, salt and fish sauce in a bowl. Add the chicken and stir to coat with the marinade. Leave for 30 minutes while you make the onion paste. – Using a pestle and mortar, pound the onions, garlic and dried chillies to form a coarse paste or chop everything very finely. Heat the oil in saucepan and cook the onion paste over a moderate heat for 15-20 minutes until caramelized. Keep moving the paste in the pan so it does not burn. Add the shrimp paste and stir through the mixture. – Put the chicken, lemon grass, tomatoes and water in a pan. Bring to the boil then reduce the heat. Simmer for 25-35 minutes or until the sauce has reduced and the chicken in tender. Add the coconut cream and leave to simmer a further 5 minutes. Sprinkle with coriander just before serving.